OK... NOW WHERE DO I GET THE SUBWAY? City of Boston visitors, guests, and especially tourists, ask (or forget to ask) this all the time. 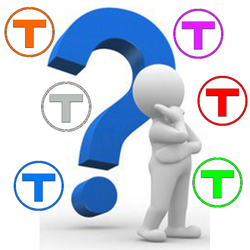 Think about it, Boston maps, tour guides and even we Boston locals, in giving directions requiring one to take an MBTA subway train, trolley or bus ride, often do well at communicating which MBTA line (Red Line, Green Line, Orange Line, Blue Line, Purple Line) to take (...and we do a lot of pointing too, often with a full pointing hand). 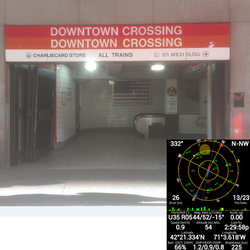 But even with the best set of directions, so many visitors, especially among the over 12 million that visit Boston each year, find difficulty in locating the actual entrance to the transit or subway stations. Maps will show the station locations, but not the actual entrances to the stations, which are often located as building entrances or even inside buildings. Add to this an unfamiliarity with signs; even more confusion. To encourage a more helpful and positive Boston travel experience, The Boston Directory provides the mapping, GPS coordinates and graphical view of every MBTA Transit Station entrance located in The City of Boston. Currently available exclusively in BOSTON LOCAL, with this virtually anyone, from anywhere and at anytime can simply open the BOSTON LOCAL "Travel Info" section on their mobile device to easily and conveniently find their way to the MBTA transit station and subway they want or need; making it even easier to locate and shop the various and diverse City of Boston local neighborhoods. Red Line, Blue Line, Orange Line, Green Line, Purple Line or Silver Line; your GPS-enabled mobile device will always direct you to the MBTA station entrance of your choice. A personal tour, family or group tour, or just a more personal way of getting around the City of Boston local neighborhoods, alternate transit rentals in Boston offer yet another convenient way to travel. Want to rent a few bikes? 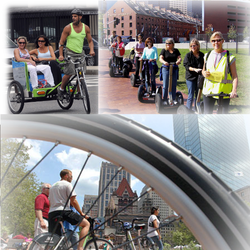 Both The City of Boston (Hubway) as well as various City of Boston local businesses offer bike and bike safety equipment rentals in Boston. While The City of Boston's 'Hubway' program offers bike rental locations (or stations) 24x7 throughout the city, its the City of Boston local businesses that offer one-stop biking, bike safety, information and more personalized Boston rental services. Maybe you'd prefer a Segway, scooter, pedicab or a driver-provided auto solution. Regardless of your Boston rental needs, The Boston Directory "Transit Info" section provides a GPS-mapped one-source solution to locate, contact and engage any City of Boston transit rental service all day, every day right from your mobile device. Simply select the "Rentals" option to access all locations pinned on your mobile device's map. Great for both pre-trip planning while in Boston and for real-time information as you travel the City of Boston local neighborhoods. The Boston Directory... 100% Mobile... 100% of the time... For Today's Mobile Lifestyle. 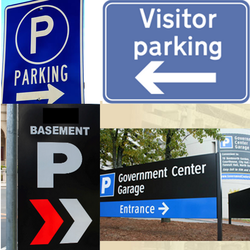 NOW THAT WE'RE IN BOSTON, WHERE DO WE PARK?